We all lead unique lives and, as a result, experience stress in different ways. So, when it comes to dealing with anxiety, wouldn't it make more sense to choose a tailored solution over a cookie-cutter one? That's the mindset driving Mindbliss and its unique, AI-curated meditations. Lifetime subscriptions are available today for $49.99. Designed to grow alongside you, Mindbliss uses highly intelligent AI algorithms to curate meditation experiences to fit your needs, whether you're trying to sleep better, handle stress, or simply start each day with a positive outlook. The app provides users with both single-sit and serial sessions to not only promote self-care but also work toward creating a more consistent wellness lifestyle. 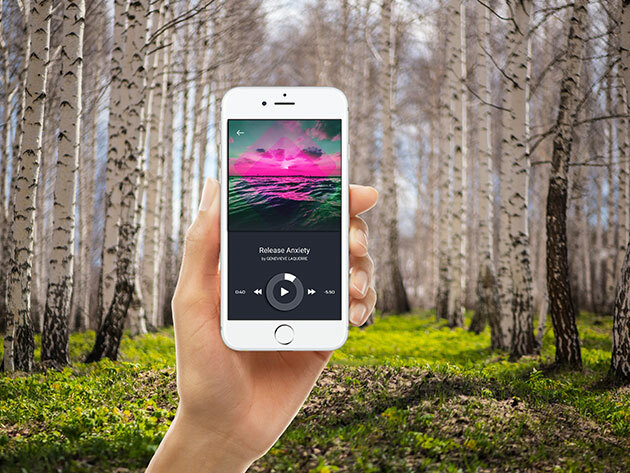 You can come back to center with guided meditations, breathing exercises, and 3D nature soundscapes, and follow your growth with Mindbliss' tracking tools. And, with the ability to save your favorite sessions, you can take your meditation experiences with you offline. Lifetime subscriptions to Mindbliss are available for $49.99.